Customers are not finding you, and thousands of dollars every month is lost to your competition, simply because your website does not get traffic. At Elite Vancouver SEO, we provide expert Internet marketing services that get your website found. With our help, customers will find you online, and your business and revenues will grow. Our services are based in Vancouver, and we work with and help businesses across the nation. We excel at putting you on top of the online search results, getting you found and keeping your phone ringing. Find out how we can drive more customers to your business. Click GET STARTED for a free video analysis. How many customers is your website getting you each month? If you don’t know the answer to that question, without a plan for an established online presence, essentially you are turning customers away. If you do know how many customers your website gets you every month and you want to improve that number, then you need a strategy to do just that. You need to contact Elite Vancouver SEO because we will drive more customers to your business with proven marketing strategies that bring you more leads and customers, which gets your phone ringing more often. Get in touch with Elite Vancouver SEO today, and see how we can drive more customers to you, instead of those customers going to your competition. We will help you understand the importance of your website and the possible value associated with it. Full optimization of your website, showing all search engines exactly why your business should be at the top of the search results. SEO includes research and analytics, a must to understand your online imprint and how it can drive customers to you. Your social media presence contributes greatly to your Internet visibility, and Facebook is just the start. Connect with your customers in many ways, and realize business leads and opportunities from new avenues. With countless ways to discover your business, immediate action is needed should your online reputation be put at risk. With proper management, your business visibility will reflect the image it should. Don’t let your prospective customers get a negative experience as a first impression of your brand. Our goal is to get your brand in front of potential customers. Through Google approved optimization techniques, we will take your Internet visibility to another level. Building your brand through your website and social media, we put you on top of the search result pages. Your online reputation is extremely valuable. With expert SEO services, we can ensure the perception of your business is protected. The reputation of your brand on the Internet should be positive, and we take all appropriate measures to keep it that way. Search Engine Optimization (SEO) all comes down to the strategy with how you present your brand on the Internet, driving traffic from leads and potential customers to your business. 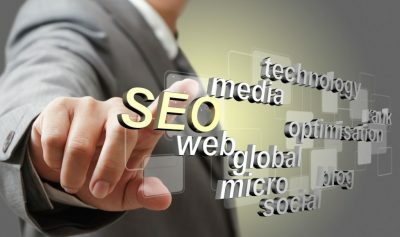 At Elite Vancouver SEO, we will expand and increase your presence on Google through expert optimization techniques. We build and implement comprehensive digital marketing strategies that target the right keywords, improving and increasing your the visibility of your website. We also protect and grow your brand by building your appearance in social media, and also perform online reputation management. Elite Vancouver SEO is here to provide professional and expert services to improve your business presence on the Internet. An Internet marketing strategy customized to your business will bring you a steady flow of new customers. For a free consultation, please click the button below to get started. Proudly serving Greater Vancouver, Fraser Valley and beyond.